Town halls planned for Hillsboro's Century High School and Gaston High School in April. Congresswoman Suzanne Bonamici will host two town halls in western Washington County this month, with stops in Gaston and Hillsboro. On Friday, Bonamici announced six town halls in Washington, Yamhill and Clatsop and Columbia counties. Bonamici will be at Gaston Jr./Sr. High School, 300 Park St., at 6 p.m. Thursday, April 18. On Tuesday, April 23, Bonamici will host a town hall at Century High School, 2000 S.E. Century Blvd., at 6 p.m.
Bonamici will take questions from residents and provide an update about her work in Congress. 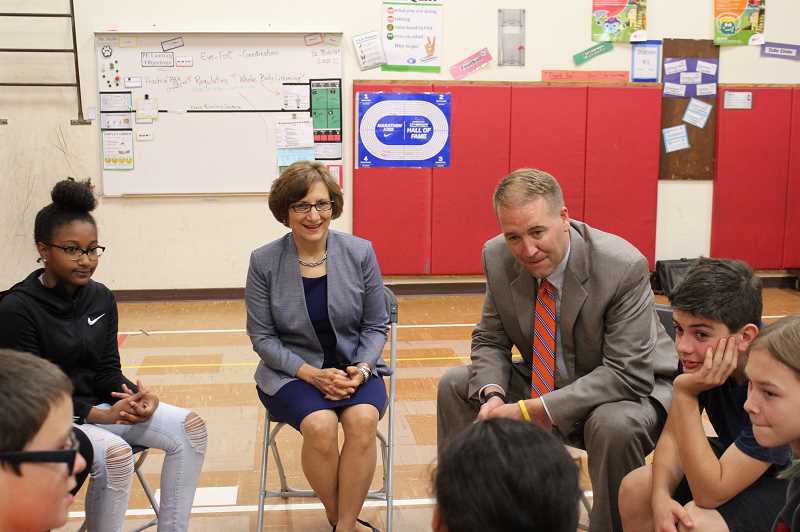 "Town hall meetings are an important part of my work," Bonamici said. "I look forward to hearing directly from the people I'm honored to represent. Recently, Oregonians have contacted me about many of the serious and urgent issues I am working on with my colleagues. Those topics include protecting the environment, lowering health care costs, standing up for workers, making higher education more affordable, and demanding the full and immediate release of Special Counsel Mueller's report." Members of Bonamici's staff will also be available at the town halls to assist anyone experiencing problems with federal agencies such as the Department of Veterans Affairs, Social Security Administration, or Internal Revenue Service. Can't make the local town halls? Bonamici will also hold town halls in McMinnville on April 13, Portland on April 15, Astoria on April 16 and Clatskanie on April 24. Gaston Jr./Sr. High School, 300 Park St.
Century High School, 2000 S.E. Century Blvd.